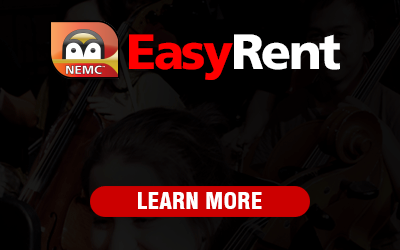 Now serving you in 2 great locations, MUSIC 101 & Girt's Cortland MUSIC 101 are pleased to offer our musical instrument rental program EASYRENT powered by NEMC. Through this program, we are able to offer the benefit of personalized service right in your community, backed by a national company, providing you access to the largest inventory of teacher-approved quality musical instruments in new or like-new condition such as trumpets, clarinets, trombones, flutes, saxophones, violins, violas, cellos, percussion and many more. "Now serving you in 2 exciting locations in N.E Ohio!" We carry all school band supplies, books and accessories. Instrument Sales/Rental, Service/Repair. Sign up for private lessons today!